The forklifts in most warehouses and manufacturing facilities are perfectly sized to accomplish the tasks at hand – but some jobs require a little more muscle. For those bigger tasks, we give you the rough terrain forklift. Class 7 forklifts are specifically made for rough terrain and are mostly used outdoors at construction sites and facilities with challenging terrain and heavy loads. 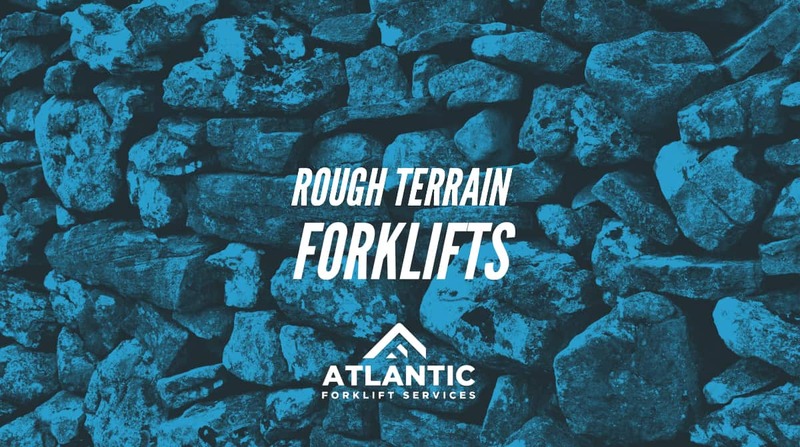 Even though these trucks are specifically built for rough terrain, that doesn’t mean every type of heavy duty forklift is made for every type of situation. Rough terrain forklifts come in three types: telehandlers, straight mast, and rotating telehandlers. In spite of the design elements specifically built for certain situations, a tremendous amount of care is necessary to ensure these lifts operate safely in uneven and treacherous situations. Raising and lowering a load must be executed on a level, stable surface. These trucks are big, but they can still tip if the driver is vigilant about the safety procedures. A telehandler forklift can lift and lower materials at distances and heights in front of the truck. This function of reaching out in front of the lift allows to operator to pinpoint the placement of the load. Typically, telehandler lifts can lift heavier loads and reach much higher than standard forklifts – sometimes as high as 56 feet. A rotating telehandler rotates on a turntable and can swivel 360 degrees to service a large area from one location. They can reach heights up to 80 feet and manage loads up to 10,000 pounds. In certain circumstances, and with the proper accessories, a rotating telehandler can double as a crane. Finally, a straight-mask forklift is closest to a standard forklift, with some accommodations for rough terrain. Large pneumatic tires make handling on an uneven surface easier, and these trucks have lift capacities not unlike a standard forklift, somewhere between 5,000 and 36,000 pounds. If you believe you may be in the market for a rough terrain forklift, give our experts a call at (704) 842-3242. They can help you navigate that terrain and find just the right option for your needs.